WASHINGTON — With coverage for millions of people at stake, Rep. Tom Price is facing pointed questions about President-elect Donald Trump's health policies — and his own investments in health care companies — from senators considering his selection as health secretary. While Price, an orthopedic surgeon-turned-lawmaker, is largely a known quantity on Capitol Hill, Trump's bottom line on health care remains a mystery for Democrats and Republicans alike. Trump campaigned on repealing "Obamacare," but at times he's sounded more like a liberal, for example, with recent comments about providing insurance for everyone and taking on the drug companies. The Senate Health, Education, Labor and Pensions Committee scheduled a hearing on Price's nomination for Wednesday. Price, 62, represents Atlanta's northern suburbs and chairs the House Budget Committee. A budget hawk and a social conservative, he drafted his own plan to replace President Barack Obama's 2010 health care law. It would have saved taxpayers money but covered fewer people, according to an outside analysis. Democrats intend to question Price about the impact of Trump's plans to repeal and replace the Affordable Care Act, now providing coverage for about 20 million people. 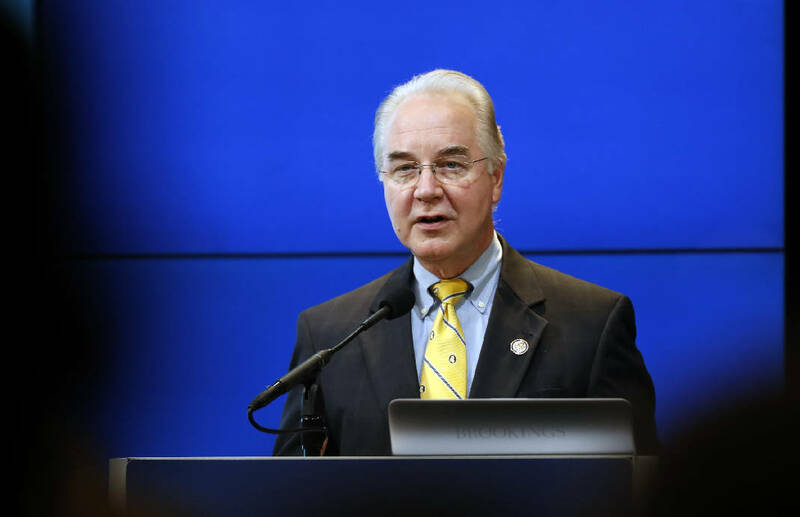 "Tom Price is one of the most extreme and partisan Washington insiders," said Sen. Patty Murray of Washington state, the ranking Democrat on the committee. "We have to consider what he would do to impact people in every corner of this country." Democrats will also zero in on Price's investments, which have prompted questions about potential conflicts of interest and calls for a Securities and Exchange Commission investigation of possible insider trading. Senior Democratic senators want to pause the nomination until an investigation can be completed, a request Republicans are unlikely to grant. Last week, Price signed a government ethics agreement pledging to sell his stocks, but that didn't stop the questions. The latest controversy involves Price's purchase last year of stock in Zimmer Biomet, a major medical device manufacturer. The acquisition came around the same time that Price introduced legislation to suspend Medicare rules seen as problematic for such companies. "This isn't a witch hunt. These are serious and disquieting allegations," Senate Democratic leader Chuck Schumer of New York said Tuesday. Trump transition team spokesman Phillip Blando said the Zimmer Biomet purchase was directed by Price's stockbroker as part of ongoing management of the congressman's investments. The spokesman also said Price had no advance knowledge and had not directed the broker to consider the company. Government records show that Price was notified about the purchase more than a week after he offered the legislation. His spokesman said Price had been working on the bill for months. Republican senators are closing ranks behind Price on the ethics questions, but they want him to provide a better sense of Trump's ultimate objectives on health care. Over the weekend, the president-elect told The Washington Post that he is close to having a plan that will provide insurance for everybody and lower some costs. That surprised many on Capitol Hill, where Republicans are still looking for a path. Republican economist Douglas Holtz-Eakin called Price "patient" and "thoughtful" — "not a fiery orator." The Department of Health and Human Services, which Price would lead, has a $1 trillion budget and about 80,000 employees. It runs major health insurance programs, including Medicare, Medicaid and HealthCare.gov. Price would also be ultimately responsible for the Food and Drug Administration, the National Institutes of Health and the Centers for Disease Control and Prevention. Generally, Republicans want to overhaul the health care system to shift a greater financial responsibility and risk to individuals. They argue that would help create a genuine market for medical care, leading consumers to demand lower prices for services. Republicans would also loosen many Obama-era regulations on insurers, such as limits on how much older customers can be charged, and requirements that certain benefits be covered. They would cap the tax-free status of employer-provided health insurance. And Price favors limitations on jury awards in malpractice cases. Emergency room doctor Leon Haley, dean of the University of Florida College of Medicine-Jacksonville, has known Price for nearly 20 years, since they both practiced at Grady Memorial Hospital, a major safety-net institution in the Atlanta area. Although Price's financial disclosure forms show him to be a millionaire, Haley says he believes that Price is aware of the needs of low-income patients. "I don't believe he would make any intentional decisions that will harm patients," said Haley. That said, repealing "Obamacare" carries risks. "What happens after the original plan goes away?" asked Haley. "If they want to choose something different, that is completely within the purview of the new administration. But until we have a defined plan, if you start removing things without adequate supports, that's a concern."